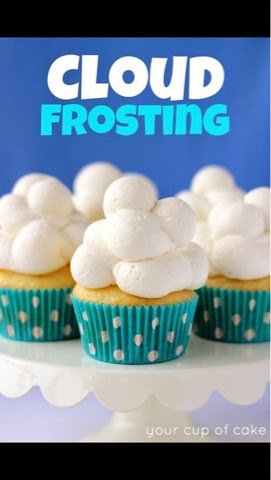 I love how creative this frosting technique is from Your Cup of Cake! Cloud Frosting just sounds like light and fluffy and is so adorable. This frosting is made with cream cheese, powdered sugar, vanilla, and heavy whipping cream. You can find the recipe and more photos HERE.